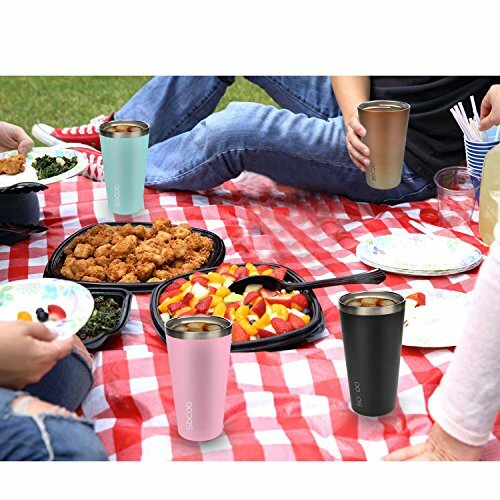 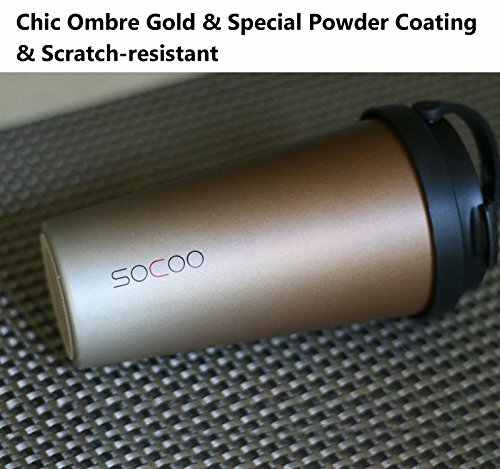 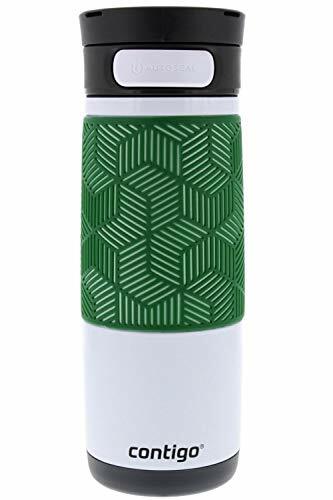 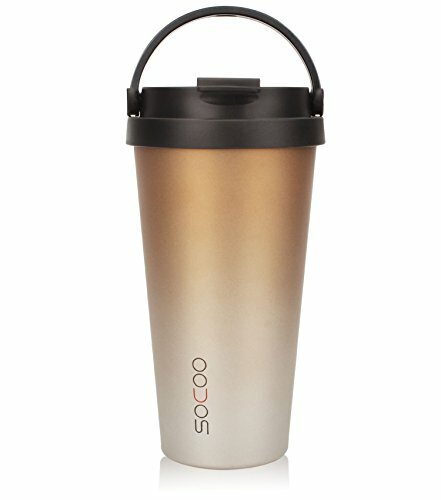 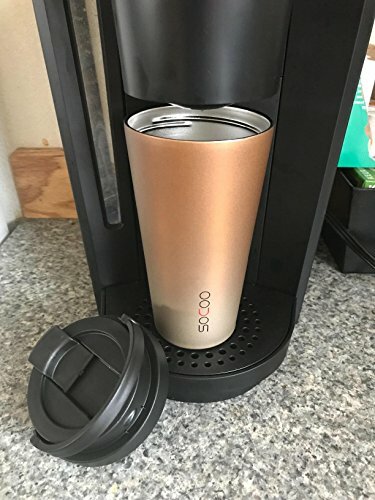 Made with 18/8 food grade stainless steel & Non-toxic plastic, All SOCOO travel coffee mug are 100% BPA and BPS Free;,With a durable handle which is snug around the top when not in use, but it's handy to have when you need it. 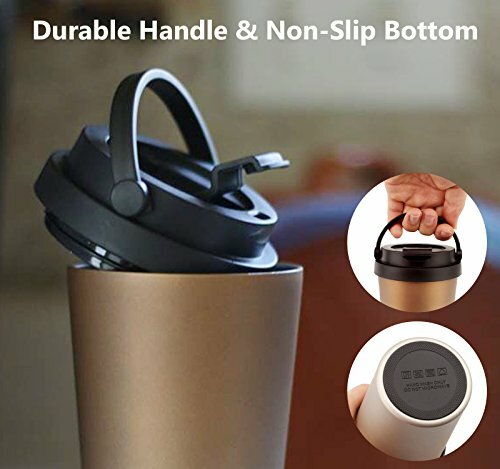 When you are in hurry or your hands are full, the fold up handle is totally a life saver.,Would you dare to hold your coffee mug upside down,? 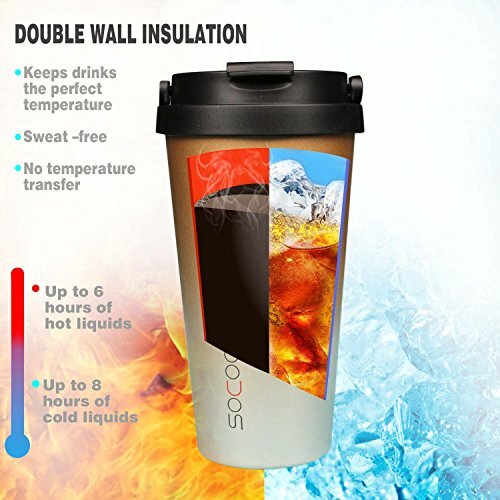 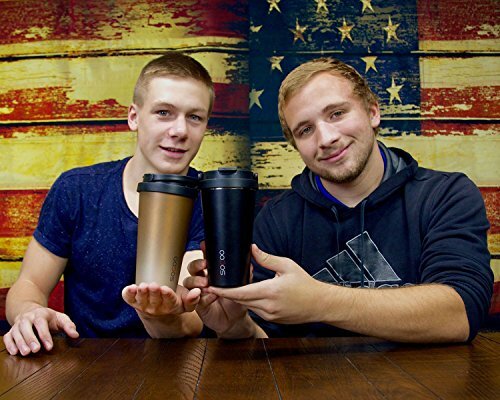 the SOCOO travel coffee mug can do that, it's easy to open and close the lid to sip but it holds tight so it's will not leak. 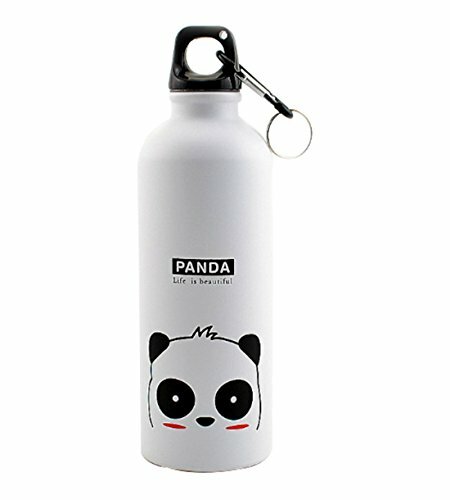 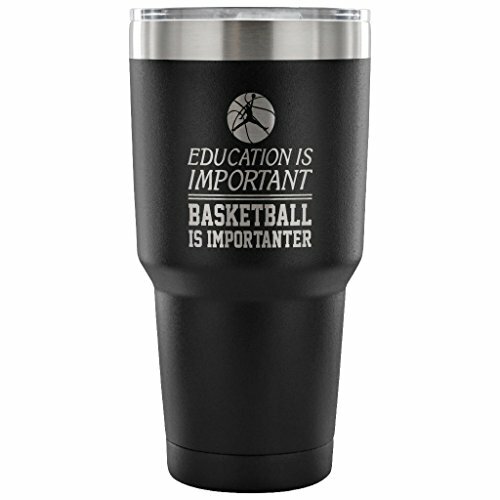 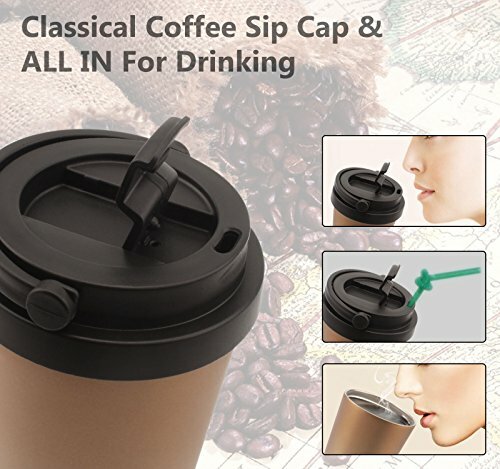 Because of the flip up lid, it will not spill over when you are driving.,16oz/480ML perfect size for coffee lovers, reusable coffee mug, save the paper cup waste;,With an awesome rubber grip bottom, so it doesn't slide across your desk as badly when your are not paying attention and moving things around while typing.